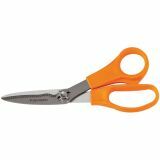 Premier Take-Apart Shears 7" - FISKARS: Take-Apart Scissors. These all-purpose scissors will come in handy all throughout the house. From the sewing and craft rooms to the kitchen and garage, they can easily take on a variety of tasks. They feature separating blades for easy cleaning and one serrated notched edge which securely holds the material being cut. 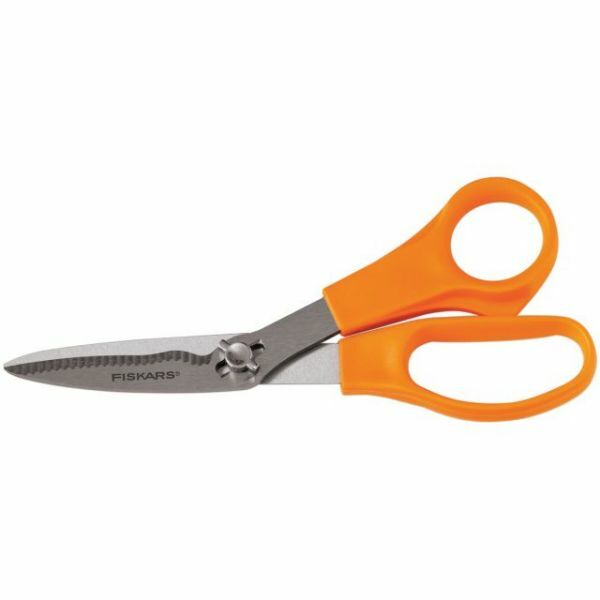 They are made from hardened steel for lasting sharpness and feature Fiskars' signature ergonomic orange handles. The cutting surface is 2-1/2 inches long and the overall length is 7 inches. This package contains one pair of Take-Apart Scissors. Imported.